If you feed your baby rice cereal, you might want to offer other grains like oatmeal and barley instead, because rice contains a high amount of arsenic. A natural element, arsenic is found in water, air and soil, but it is also linked to skin, lung, liver, kidney and bladder cancer. Arsenic exposure may also cause problems during pregnancy and developmental problems at birth. The American Academy of Pediatrics recommends feeding children a variety of foods to decrease the amount of arsenic in their diet. Pregnant women should also eat different kinds of grains. Arsenic in infant rice cereal is a concern because infants eat about three times the amount of rice that adults eat in relation to what they weigh. More than half of infant rice cereals meet or are near the limit of 100 parts per billion for arsenic. Cereal companies soon may be required to make sure the amount of arsenic in their products is under the limit. Arsenic is present in other foods and drinks like bottled water and apple juice. These products also must not exceed arsenic limits. Offer infants cereal grains like oatmeal, barley and multigrain. 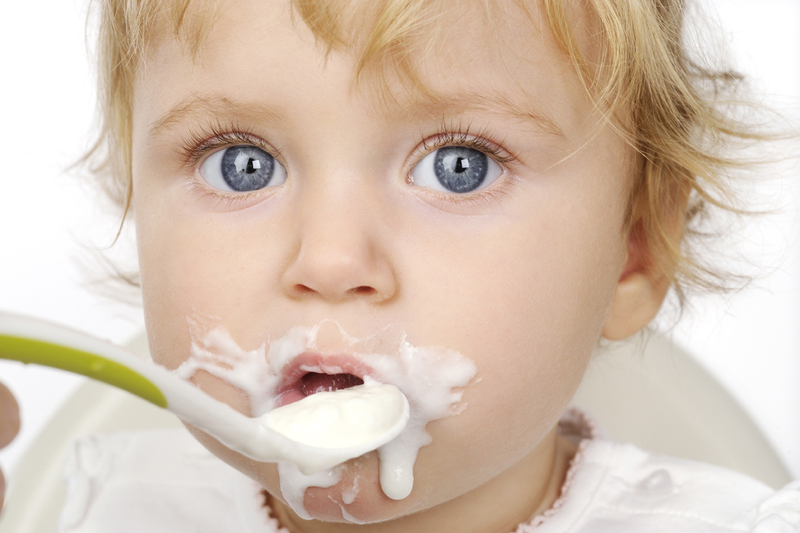 Rice cereal does not have to be the first cereal given to infants, according to the AAP. Other first food can include pureed vegetables and meats. Avoid processed foods containing brown rice sweetener and do not use rice milk instead of cow’s milk. Cook brown rice in extra water. Use six to 10 parts water to one part rice and drain the extra water to reduce the arsenic. Feed your baby only breast milk for the first 4-6 months of life. If your child has a swallowing disorder, dysphagia or gastroesophageal reflux disease, and needs cereal thickeners added to formula or breast milk, the AAP suggests using oatmeal. Also, talk with your child’s pediatrician or feeding specialist. For more information about arsenic’s health effects and exposure, visit the American Academy of Pediatrics website.